Indonesia is hesitant to buy Russia's SuperJets 100 after one of them crashed in May while on a demonstration flight in the country killing all 45 people on board, a report suggests. The Russian daily Izvestia interviewed the Indonesian company whose employees were on the May 9 demonstration flight which crashed. The airliner’s predicted success on the Asian market has been put in doubt after the crash on Mount Salak. 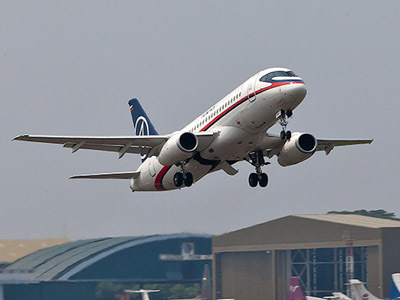 After the disaster some of Indonesian air carriers who planned to purchase Superjet put them on hold, while others do not want to speculate on the possibility of signing a contact with the Russian manufacturer. “We do not have plans to purchase Sukhoi’s planes so far,” Dian Asoka Sari Commercial Officer at Air Maleo told Izvestia. 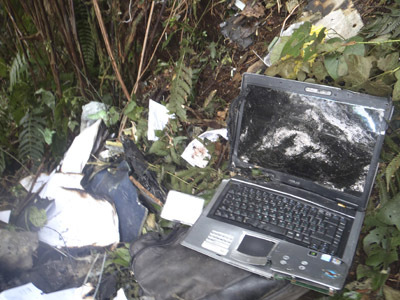 The company had representatives on board the crashed plane. Much will depend on the final results of the investigation by Indonesian experts. Another Indonesian airliner, Sky Aviation, which has signed a contract to purchase 12 aircraft, may refuse to buy 9 of them worth about $30 million. The Russian daily quotes an anonymous source in the company as saying that the airline is awaiting the findings of the local investigative committee. However, the company has not yet made an official statement announcing plans to cancel its order. The companies Airfast Indonesia, Pelita Air, Aviastar, Batavia, whose employees were also on board the crashed Superjet 100, declined to comment on a possible purchase. 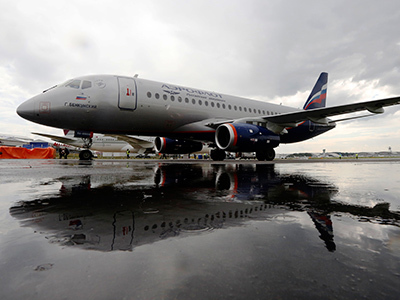 However, some companies have not been set back by Sukhoi’s mishaps. 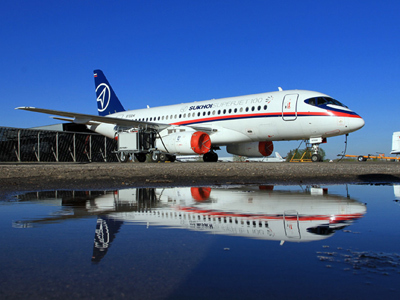 On the first day of the UK’s Farnborough air show in July this year Sukhoi announced Mexican Interjet had decided to increase the number of planes purchased from the Russian plane maker to 20. At the same time Armenian Armavia refused to buy out one out of the two Superjet planes it had ordered. However the source in the company told Izvestia the decision of the Armenian airliner has nothing to do with the crash or concerns over the safety of the Russian air product, but a shortage of money. However, industry analysts doubt the reason is purely financial, otherwise the Armenians would not have been displaying interest in buying a more expensive Boeing. “Armavia may have concerns over safety or maintenance of the airplane or simply thinks there’s no basis for paying for the second plane in full after the Sukhoi’s plane crash,” says Andrei Schenck from Investcafe. The "United Aircraft Corporation" which owns the Sukhoi Aviation Holding Company recognizes the accident has put the manufacturer in a difficult situation, but believes that it is far from critical. “During the last two months contracts have been signed for 11 aircraft”, says the company’s spokesperson Olga Kaukova. The final joint Russian-Indonesian report on the cause of the accident is set to be will released before the end of summer.